Ballon d’Or: Ronaldo v Messi? The two greatest players in Spanish football, Cristiano Ronaldo and Lionel Messi, go head to head tonight to see who will be crowned the greatest player in the world. It’s an El Clasico being held in Zurich. The Ballon d’Or (or golden ball) is given to the player who has been the world’s best player during the previous calendar year. Ronaldo was distraught at missing out to his arch rival Lionel Messi last year, but could this be the year that he snatches it back? 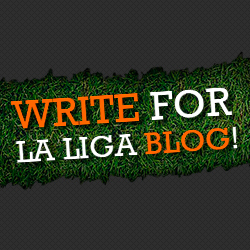 La Liga blog assesses the contenders. Ronaldo is the heart beat of the Real Madrid side. He is a formidable striker of the ball, a free kick specialist and the king of the step over. He won his solitary Ballon d’Or in 2008 but many feel that at 28 years old he is just hitting his peak. Last year he scored 66 goals in just 56 appearances, by far the best record of the competitors. One thing could count against him: has he displayed the necessary leadership qualities and team ethic? Despite his stellar solo performances Madrid picked up not a single trophy in 2013, and Portugal needed the ignominy of a play off to reach the 2014 World Cup finals. Lionel Messi is, in my eyes, the greatest footballer that the world has ever seen. He has won the Ballon d’Or a record four years in a row, but has his work cut out to make it five. Messi had a spectacular year by any standards, scoring 42 goals in 45 matches. Despite playing 11 games less than his rival, he made more passes and dribbles. He inspired Barcelona to become runaway La Liga champions. The one thing that seems likely to deny Messi the award is the two injury lay-offs that he suffered. Without the breaks in his season that a troublesome hamstring caused I have no doubt that Messi would tonight be collecting his fifth Ballon d’Or. But wait – there is a third contender. Franck Ribery of Bayern Munich is also on the shortlist. He has been overlooked by many, but Ribery’s statistics tell a remarkable story. In 2013, Ribery’s shooting accuracy was better than both Ronaldo and Messi. 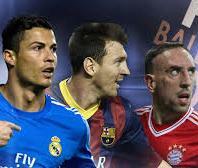 He made three more goal assists than his rivals, created more than twice the number if goal chances of Messi, made a thousand more passes than Ronaldo and here’s the astonishing thing – Ribery made over 500 more dribbles and runs in 2013 than Ronaldo and Messi combined. To top it all, of course, his Bayern Munich side became champions of Europe. I would love to see the Ballon d’Or stay in Spain but I don’t think that this is the formality for Ronaldo that many are making out. My prediction is that Franck Ribery will take the trophy back to Germany for the first time since 1996.